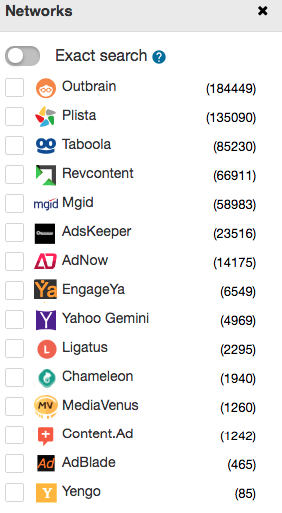 Would you like to know what ads your competitors are posting? And in which traffic sources? Well, that’s the beauty of ad spy tools! 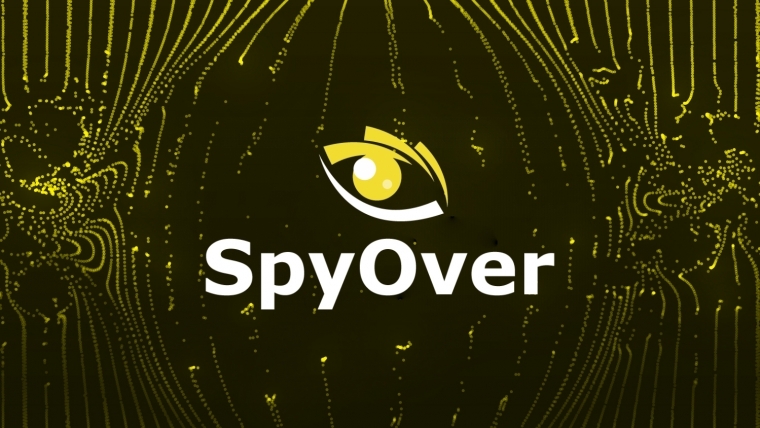 Now, I’m going to share with you my honest review of SpyOver – a tool designed to monitor and spy on native ads. Before jumping into the detailed review, I’d like to share with you an exclusive coupon on SpyOver that they’re providing to all Mobidea Academy readers. 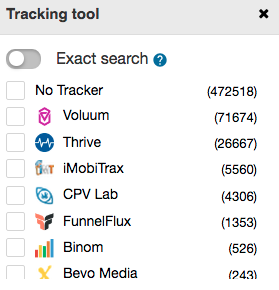 You can track the competitors’ ads in 15 traffic sources from 115 countries around the world. You can also filter by language, country, device, operating system, browser, tracker, partner network, and the date of impression. It is also possible to search and filter by landing and pre-landing page (they call it transit page). This feature is available in a separate section. So it has never been so easy to find an interesting pre-lander. Filters are also available there, just like in the Ads section. It’s on the homepage where a comparative table is presented, and it shows the differences with other tracking systems. Let us take a closer look at all the sections to see what they contain and how the service can be used. Most of your work is likely to be done in this section. 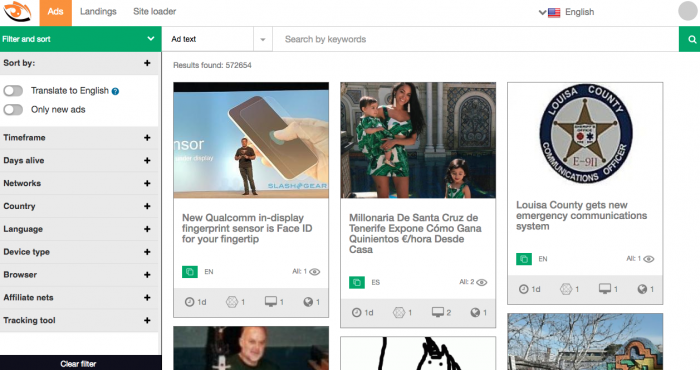 Here you can search the competitors’ ads, sort them, and apply various filters for a more detailed analysis. Sorting and filtering options are available on the left. Let us take a closer look at each one to see which of them are available and how they work. Real views — this mode presents the ads sorted by the trend for the selected period, country, or device. Right under the sorting options, you can see a “Translate to English” switch. It is convenient when you are looking for the ads in a language you do not speak. The system will translate the ad into English for you to understand what has been found. Next to this switch, there is another one to show only new ads. Here you can select a time interval to search the ads. Filter the ads by the time they have existed. I recommend searching the ads which have been active for no less than 3 days and gradually increasing to 7, 14, 30 days. Thus, you can find an ad which has been long in rotation and most likely popular with the users. SpyOver monitors 15 traffic sources; all of them are available for filtering in this section. You can select one of 115 countries for filtering. Note the switch called “Exact search.” When turned on, it allows you to pick the ads only for the countries you have selected. The names of these two filters are self-explanatory. 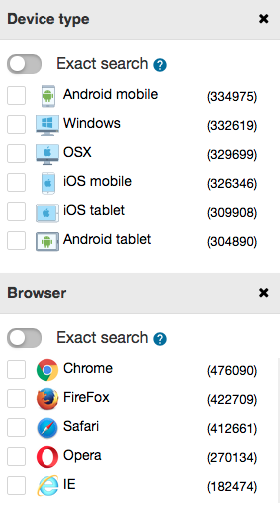 You can sort by device type or browser (only the most popular ones are available). You can use an exact search here, too. This filter contains a few partner networks. You can find this function useful when you want to select an offer or see how your competitors are working with it. This is the last filter which deals with the tracker. Now I would like to talk about a couple of useful functions I like. Once you have filtered the ads matching the criteria relevant to you and found what you are interested in, you can select the ads and download them as an archive. 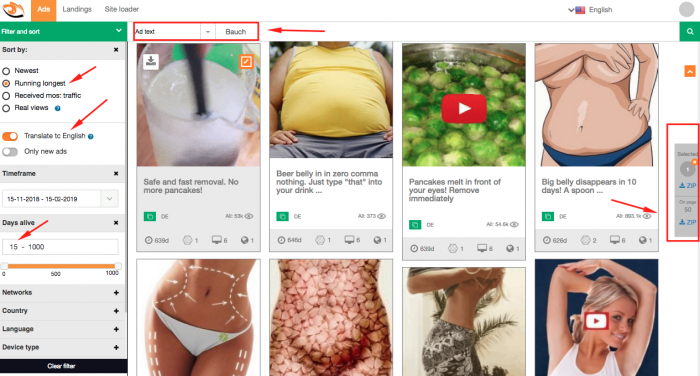 For example, you want to find the ads for the offer of weight loss in German. Enter the word “bauch” which is the translation of “stomach” in German. 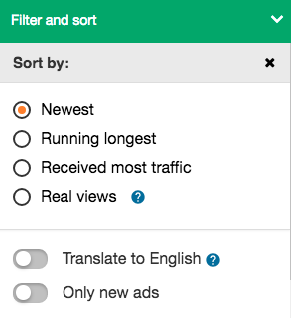 Sort by “Running longest” to see the ads with the longest time of rotation on the top of the list. Also, note that you can see the number of days each of the ads has been in rotation. I turned on the switch “Translate to English” because I want to understand what the ads are about, but I do not speak German. After that, I can either select the ads I like or all the ads displayed on the page. The selected ads are packed into a downloadable ZIP archive. 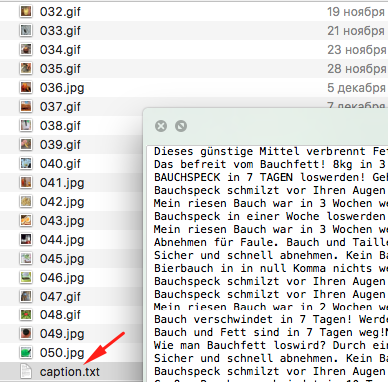 The archive contains the images and a text file with the ad texts in the source language (in my case, it is German). You can also analyze in detail any one of the ads and retrieve as much information about it as possible. Let us take one of them and have a closer look. 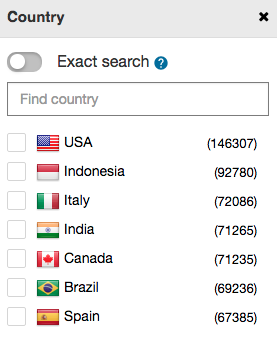 Here you can see the ad statistics, country, device, traffic sources. In this case, it is MGID (read review). Also, you can see a pre-lander link to this ad. The pre-lander page can be viewed or downloaded right from this section. 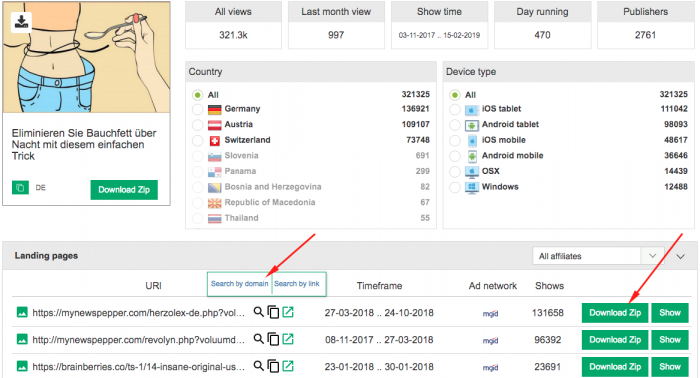 I must confess, I often use this function because it lets me find a domain of a major advertiser who has been working for long time, and with big budgets. It gives you a chance to “borrow” some useful ideas and possibly gain an insight of how they work. Landings is another big section. It is dedicated to search for landing pages, pre-landers and sites. Everything here is just like in the Ads section with one only difference. We deal with sites here, not ads. You can search by text containing in the url, domain, meta tag, page contents or outgoing link. Let’s check a practical example – I have entered the word “Bauch” and selected “landing text” as an area of search. The functions of sorting and filtering are implemented more or less like in the Ads section with minor differences. So you can refer to the descriptions given above. When working with landings, you have the filters to specify the page you are looking for: Site, Landing page, Pre-lander or App. When doing mouseover on a landing page, you can see two buttons pop up. They allow you to download it or open it in a new tab. Clicking on a landing page image will result in opening this image in a new tab. This section is the last but not the least important one. It’s a feature which helps you copy pages. You can copy it at once by substituting its link with yours. Click the “Go load” button. The system will report that the page has been added to the download list. Several minutes or seconds later, refreshing the page will return the Load button next to the page you have added to the download list. From now on, you can take the pre-landing page, upload it to a hosting, connect it to a tracker, and redirect the traffic. It is simple and convenient, isn’t it? Its simple and intuitive interface helps to find some really interesting creatives. The queries are carried out quickly. Even immediately, I would say! You can download any creatives in one click, and also select several ads and download them all at once along with the ad texts in the same archive. 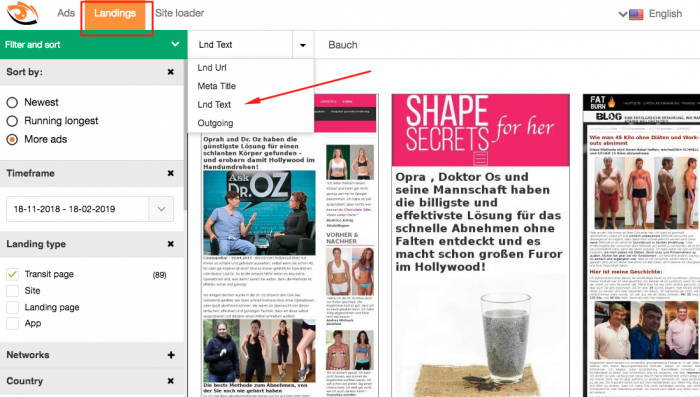 The Site loader tool allows downloading a pre-lander instantly. It saves you time and lets you proceed straight to trying interesting approaches. I think SpyOver is something every media buyer should consider giving a try, and our special discount makes it even more attractive! Save 30% with our exclusive SpyOver promo code.